In the whole year, one of the most beautiful days is 14th February for all the couple like married and unmarried. 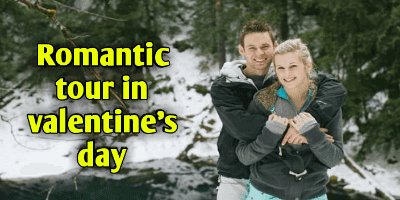 Today tell you that This valentine's day how to make very special valentine's day by pre-planning through gifted, special food eating or traveling to outdoor activities. 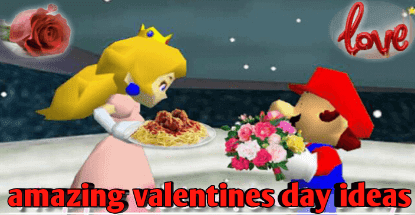 Here I give you some of amazing valentines day ideas to make the most romantic day in your life. Some of them you can like or not, that depends on man to man can vary. We are all trying to best romantic activity in this day. So it is much exciting to advise you about the best suggestion. Here give you 10 ideas that make your day special and memorable. You can give a lovely and different special name to make a piece of your liver more special. About which only you both know Whenever you re-invoke this special name, you will be very happy to hear this name again. If you really love your partner then you surely knew he or she loves which is unexpected for him. 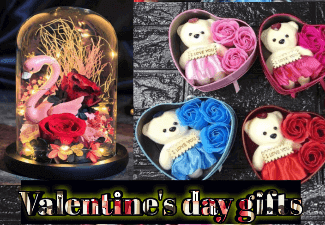 Next, you will go as a foolish or busy person near him and understand him that you forget today is very special for both of you.when he or she are hearted for your behavior then present your special Valentine's gifts to surprise him and just hugs him. If your boyfriend is very special to you then obviously there should be some special song for him too. So make a special playlist on this special day for him. If you want, write a song for yourself and throw them in tune. You will also love children as well. If you are trying to make Valentines very special, gifts can help you in such a way. After all, who is not happy when the gifts are available? There are many types of greetings in the market. In addition, you can give chocolates, hand watch or any creative gifts. If you have been waiting for a long time to spend time with the front, then you can make your own and his photo frames and give it in a gift. The red rose flower has always been considered a flower of love. Flowers are symbols of love. It can not be a good gift to show the feeling of your love. Do not forget to give chocolate to them with red bouquets of flowers, because of the effect of giving chocolate with flowers doubles. If the child wakes up in the morning and he has a lovely note written by Dad or Mama, then how happy he will be. Or there is a note made of smiley under the breakfast plate and it has been written in it that Papa-Mama loved her so much. By making small notes for kids, you keep every day in some unexpected place where children can read and enjoy these notes, be happy to read them. It does not matter what you are giving in the gift, just the gift given by you should be the highlight of your heart and your feelings. If you take them from a suite to a candlelight dinner, this too will be very special for your partner. If you are celebrating your first Valentine and your relationship has not taken much time then maybe there is nothing to talk about for you and your date is boring. Therefore, a little fun and fun is also important. Take your all friend to the couple park and enjoying hug together. Now, this day is special, we should celebrate it at a special place. Make Valentine's Day dish for him and make a dish of his favorite. By doing this, they will realize that you can do anything for them and you love them very much. So that some special memories remain with us. Take your date on lunch or dinner to a restaurant on the beach this day and order your favorite food of Love One. Prepare a special tour through four-wheelers because avoid the third person. Here my suggestion is going to the sea beach and stay in luxury hotels. It will be very romantic moments and remembered day for both of you. Only one thing that both of you will go to that's tourist place for the first time. Your relationship has been a long way, and now you want to take it to a marriage, there is no better day than this day. Share your Feelings at Valentine's Special Occasion. Tell them that you want to spend your next life with them. This is also the best day to propose to your partner for marriage. If you want you can share your own filings through songs, otherwise by putting a piece of romantic music, let's say the heart of your words only. Each and every lover wants to make special for this day but nobody did not find out how it's possible as they feel. Just I tell you that the main theme is true love which comes from your inner heart, that is most important for making this day super memorable day.